Find out how charitable funds are helping people in the UK who have been affected by recent flooding. In recent months the UK has had more than its fair share of floods with Storms Desmond, Eva, Frank, Gertrude, Henry and Imogen causing havoc. December was the wettest since records began for Scotland and Wales, the fourth-wettest for Northern Ireland and the second-wettest overall for the UK. If you have been affected by the floods, help may be available to you from charitable funds listed on our Grants Search, depending on your background, circumstances and needs. Some of these, that help occupations or groups of people who are particularly affected, have set up particular services for potential beneficiaries who are affected by flooding. These include GroceryAid, Retail Trust and Foundations Independent Living Fund (FILT). In what is the busiest time of the year for the grocery industry, staying open was of vital importance to the areas affected. GroceryAid which helps people who work or have worked in the grocery trade - from factory to store - has been providing support to many stores and individuals affected by the floods. An example of this is a local store manager in Cumbria whose employees were unable to come into work due to the severe flooding at their homes contacted GroceryAid seeking support for them. After speaking with our welfare team the decision was made to grant the eight employees an immediate one-off crisis grant of £300 each. The grants coming just before Christmas time provided some festive respite in testing times, whilst also allowing them to continue working at the store and provide a vital service to the affected community. If you have been affected by flooding and are working, or have worked, in the grocery industry, GroceryAid may be able to help you. Those looking for support can contact the confidential GroceryAid Helpline which provides expert advice and information. The Helpline is available 24/7, 365 days a year, and can be found online on the GroceryAid website or by calling freephone 08088 021122. Emotional support: Managing the upheaval and trauma experienced. They have a Storm Recovery Plan section on their website which explains more. 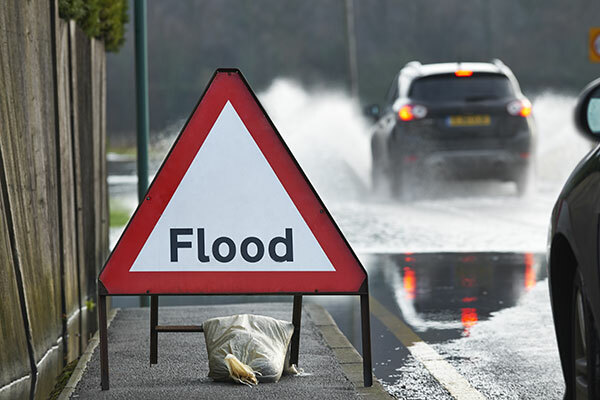 Foundations Independent Living Trust (FILT) has launched the FILT Floods Fund and Appeal to support people affected by the flooding in North West England at the end of 2015. Up to £200,000 of FILT's £1 million plus programme for this year is being pledged for low income households in the worst hit parts of the North West. The grants will help vulnerable householders with services to alleviate some of the immediate aftermath of floods and make their homes habitable again. While many people will have insurance or other resources to fall back on, there are a considerable number who won't have the luxury of that protection and may be wholly or partially uninsured. Read our Emergency Assistance page to find out what help may be available to you from benefits and other sources of help. If you are looking for grants or other help from charitable funds, you can use the Turn2us Grants Search database to search for them. Local councils in affected areas may also be able to provide information, advice or emergency support. You can find links to local council websites on the Gov.UK website.